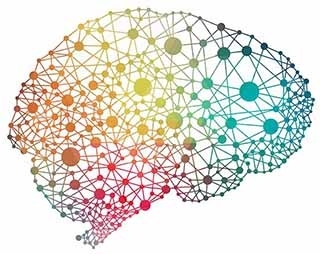 The decline of cognitive functioning—thinking, remembering, learning and reasoning—involves a complicated mix of different disease processes in the brain. A study by NIA-funded researchers has shown that common brain diseases often overlap but impact cognitive impairment differently for different people. The findings, published online Dec. 15, 2017 in the journal Annals of Neurology, the authors say, point to the importance of developing therapies that seek to treat the broader complexity of cognitive decline. A research team from the NIA-funded Rush Alzheimer’s Disease Center, Chicago, looked at cases of more than 1,000 older people who took detailed cognitive tests annually for many years and whose brains were donated and examined after death. The researchers measured nine disease characteristics in the brain, called neuropathologies, known to relate to cognitive decline and dementia. The neuropathologies included plaques and tangles associated with Alzheimer’s disease and indicators of Lewy body dementia, a disease associated with abnormal deposits in the brain of a protein called alpha-synuclein. The researchers found that over 94 percent of the participants had at least one known neuropathology. Dr. Patricia Boyle, Professor at the Rush Alzheimer’s Disease Center, who led the study, explained that of those participants who had at least one neuropathology, 78 percent had two or more, 58 percent had three or more, and 35 percent had four or more. The researchers were surprised to find nearly 250 unique combinations of neuropathologies. “And there’s not a particularly common pattern,” Boyle noted. The study also evaluated the nine neuropathologies for their relative impact on cognition. For example, the study found that neuropathologies associated with Alzheimer’s disease were both the most frequent (65 percent) and the most often associated with cognitive decline (about 50 percent on average). But, the degree to which Alzheimer’s disease neuropathologies contributed to cognitive changes varied greatly from person to person—with anywhere from 20 to 100 percent of the cognitive change accounted for by Alzheimer’s disease neuropathologies, depending on the others that were present. In other words, the impact of any given neuropathology differed dramatically depending on the other neuropathologies present. While the sample in this study differs slightly from the general population, Boyle explained that the results build on earlier studies. “Most people who live to be in their 80s will have some combination of neuropathologies in the brain,” she said. “We need to understand how these neuropathologies work together to impair cognition in order to develop effective interventions to prevent cognitive decline in old age. We looked at the nine neuropathologies that we currently quantify in the brain, but there are others that we are just beginning to study and some we probably haven’t identified yet,” she added. In addition to helping advance understanding of the complex brain changes that can happen in aging, this study demonstrates the importance of volunteers both participating in research over many years and donating their brains. This research used the infrastructure available across the country at the Alzheimer’s Disease Centers to generate knowledge that is a necessary step to eventually developing treatments.